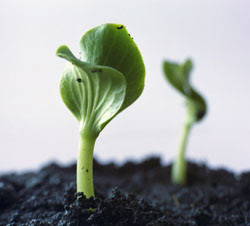 My Life, Starting Up: Where Are Those Green Shoots? It's the Economy Stupid. And John Mauldin. Mauldin is a good guy, you might also want to check out the daily news letter from David Rosenberg, formerly at Bofa/ Merrill, now at at Gluskin Sheff (a canadian asset manager). He's super bearish, he finds the 'recovery' more laughable than you. You can subscribe to his newlsetter, great read. Also check out the newsletter for Hussman Funds. Unemployment has nothing to do with how many people are collecting unemployment, it's a survey of 60,000 people done each month, but your point is not lost on me, young grasshopper. @Jon - Just read his stuff...and signed up for his newsletter. Love the bearish outlook. Wish the media would realize what the hell is really happening. But what about those Wall Streeters pushing the market up? I'm too naive to understand how the hell that happens? Any insight on that?